So you’re getting ready to go on your first triathlon, and you want to figure out how you can record the multipart race — steps taken, distance traveled, calories burned, route taken, etc. Luckily, it’s really easy to accomplish those goals here in 2018 — all you need is any smartwatch released in the last year or so. 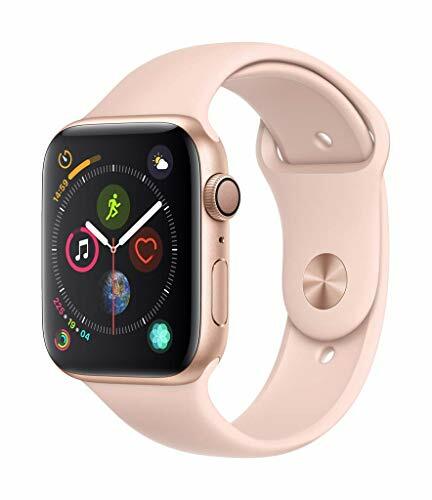 Each one will be able to record that type of data but if you have one that can’t, an app can easily be downloaded to the smartwatch to do that for you. Not only that, but all of these smartwatches are water resistant, so liquid won’t destroy it as you’re in the middle of the race. Just keep in mind that you might still scratch your watch up, because that’s just the way elements and technology work! Not sure what triathlon watches are the best for you? That’s why we assembled this list — to put you in touch with the triathlon watches that will make it easy to record your first ever triathlon, and any triathlon thereafter. Dive right in, and we’ll show you our favorite picks. Our number one contender is the Apple Watch Series 4. It might be square, but it’s one of the best triathlon watches that you can pick up today. And it keeps getting better and better every year with new and improved versions of watchOS. 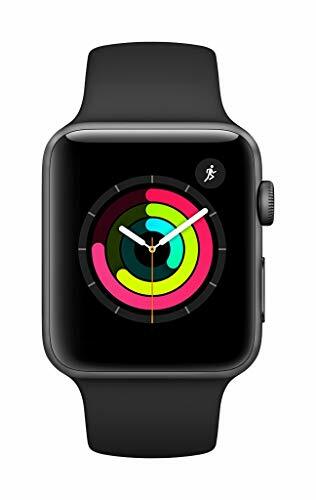 The amazing thing about the Apple Watch Series 4 is that it has all of the health and fitness features built-in natively — you can watch steps taken, calories burned, elevation, and distance traveled, all through the built in Health app. Not only that, but with GPS functionality built inside, you can use the Series 4 to map your triathlon route, too. With water resistance, you won’t have trouble with the Watch Series 4 getting destroyed from water. The Apple Watch Series 4 also comes with neat things like fall tracking. If you fall and can’t get up while on your triathlon, the Series 4 Apple Watch will alert emergency services immediately. The Samsung Galaxy Watch is another excellent contender for those looking for excellent triathlon watches. You might be worried that the Galaxy Watch won’t work your iPhone, but it actually connects up just fine — if you get a cellular version, you won’t even need your iPhone nearby to upload the data. You’ll be able to easily track your steps taken, calories burned, distance traveled, and so much more, all with the native Samsung Health app. 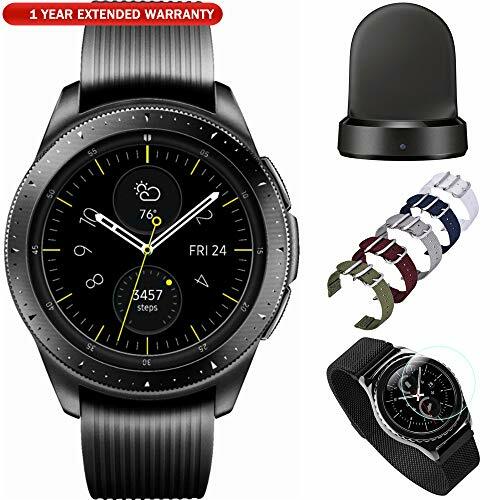 Not only that, but there’s a variety of fitness apps that you can download right onto the Galaxy Watch for added functionality — the only “con” is that you will not be able to use calling or texting features on the Galaxy Watch with your iPhone. It has some water resistance built-in, so you won’t destroy it if it gets wet. The third contender on our list for the best triathlon watches is the Apple Watch Series 3. 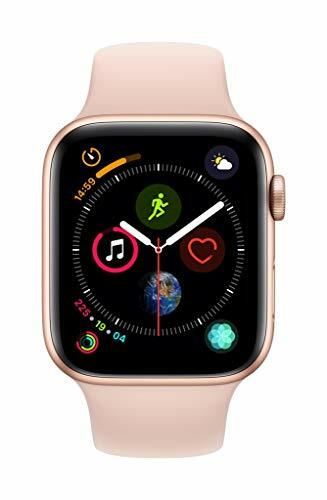 Let’s face it, the Apple Watch Series 4 comes with a hefty price tag, largely because of the superior water resistance and better technology. 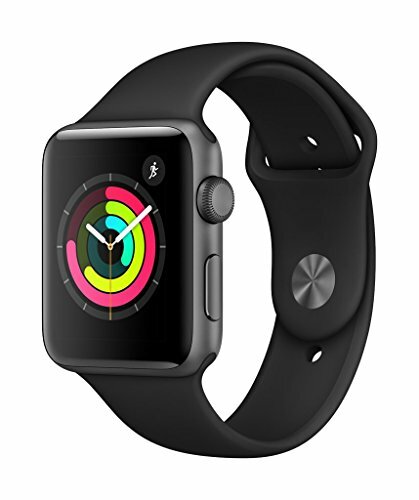 Unfortunately, that is not something many want to shell out the dough for, and that’s what makes the Apple Watch Series 3 so attractive — you get almost all of the same Health features found in the Series 4, but at a major discount because it’s considered to be “last year’s hardware.” You can get steep discounts on new Apple Watch Series 3’s, but even better if you go with a refurbished model from Apple. As an added bonus, the Series 3 has some great water resistance inside of it as well. The only “con” here is that you won’t get the “fall tracking” found in the Series 4, so there won’t be any automatic calling of emergency services. Luckily, if you’re in the middle of a triathlon and something were to happen, plenty of people would already be there to help. Next up, we have the TichWatch Pro. This also has water resistance built into (up to 30 minutes submerged at 1.5 meters), so you’ll have no problem using it for your triathlon. Running Google’s Wear OS, you’ll still be able to connect this up to your iPhone without a hitch — but just like the Galaxy Watch, calling and texting features will be unavailable. The TicWatch Pro has a variety of health features built right into the software, so you can track steps taken, calories burned, heart rate, etc. 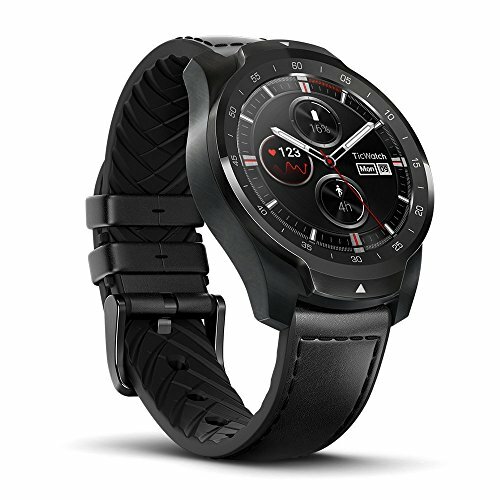 You can always add new fitness apps to the TicWatch Pro through the Google Play Store on the watch itself. 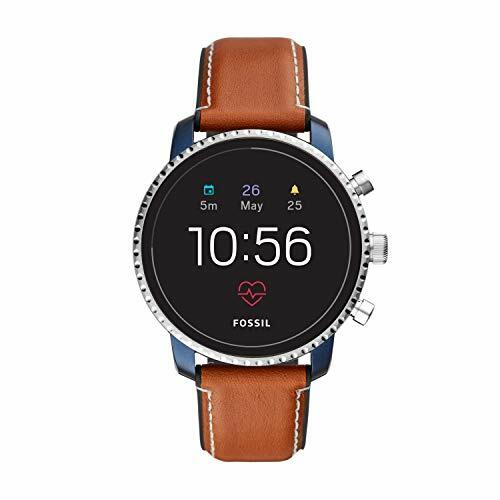 Last up, we’re looking at the Fossil Explorist HR. With water resistance, you’ll have no problem using this one on your triathlon. In fact, the water resistance is so good, you wouldn’t even have trouble taking this on laps through the pool. In addition, the Explorist HR has 24-hour battery life, which means it’ll last throughout your day without a hitch. Run out of battery and need to charge it — with rapid charging, it takes just a couple of minutes on the charger to juice it up. And, when you’re done with your triathlon, this one is stylish enough that you could easily take it out on the town or into a business meeting. We showed you some of the best triathlon watches that you can pick up today. Any one of these will be able to record your race and stay functioning all the way through it, even through the water-based segments. However, keep in mind that, because of the abuse you put your watch through — and any watch is like this — you will accrue some serious scratches and possibly even big nicks. Do you have a favorite triathlon watch? Let us know what it is in the comments section below!